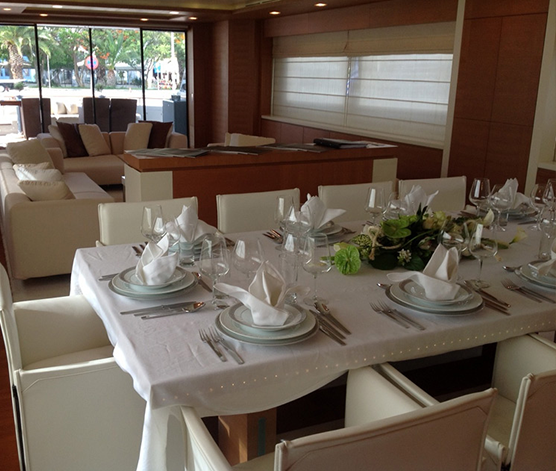 KINTARO’s Italian interior and exterior design by Studio Vafiadis is stylish and elegant. 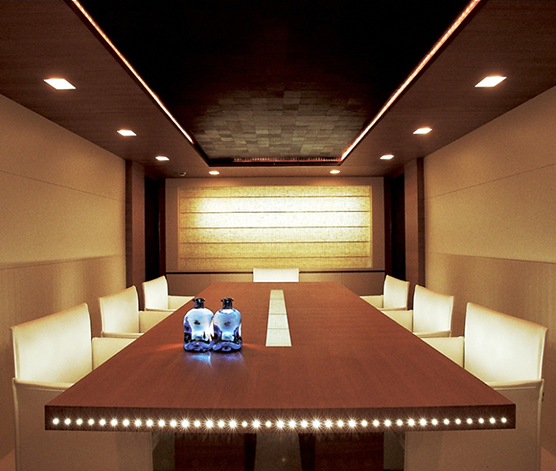 Her contemporary salon and formal dining area features a lounge with plush white sofas and coffee table aft, and a formal dining table forward. 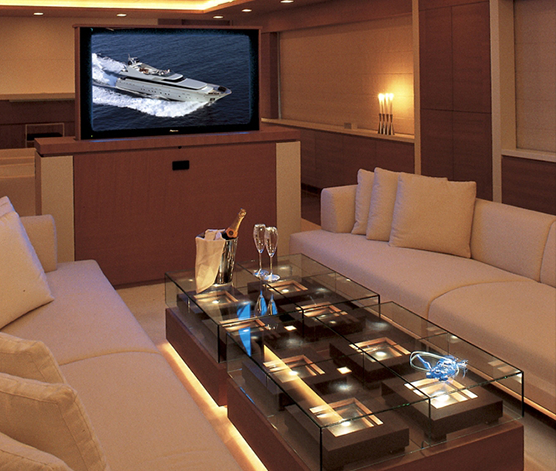 A cinema-sized Plasma screen rises from its own cabinet with satellite, video and DVD. 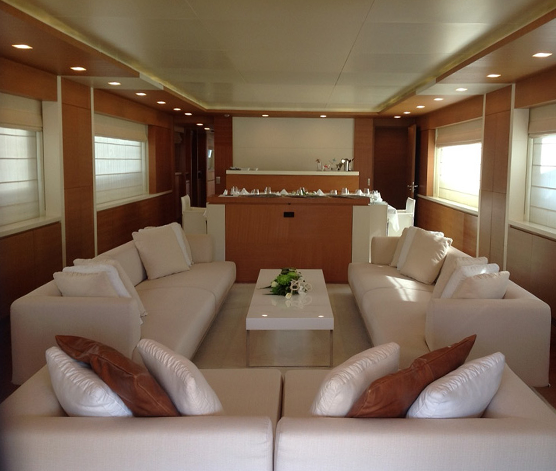 A long port side hall leads to the galley and a casual dining area. KINTARO has a huge sun deck with an optional Bimini shade. Ample sunpads provide an ideal sunbathing area by day. By night, it transforms into the perfect party setting, with a barbecue, generous seating, wet bar, and al fresco dining area. 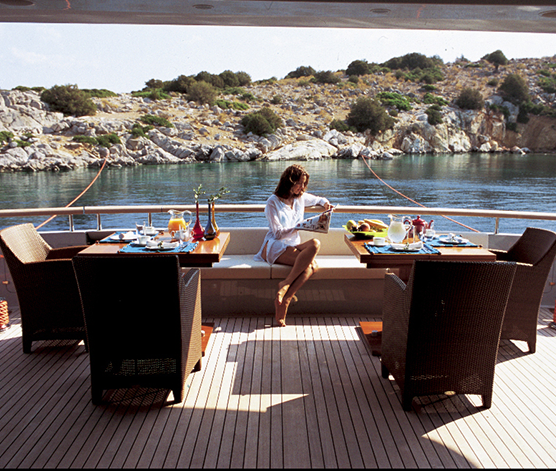 The generous foredeck has a large sunpad and seating area. 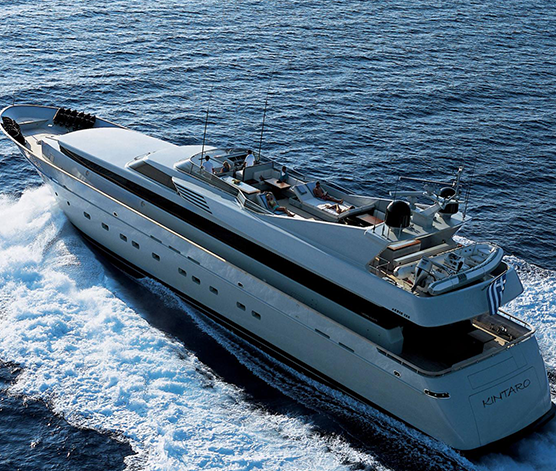 The stern of the yacht folds out, creating a large swim platform and teak beach. This is a great way to enjoy a leisurely swim in the ocean, or take advantage of the toys and tenders available to charter guests.